And if you are reusing your shower water for watering your plants you can literally see the fruits of your love out the window. I have finished planting veggies in my SIPs for this season and added a couple of trellises and jasmine plants to feed off the grey water irrigation system and cover the wall to provide additional cooling in the summer. Will post progress pictures as the plants grow. For those weeks when you don't have any laundry or are going on vacation you can combine your grey water irrigation system with the existing sprinkler system. At my house laundry is done at least 3 times a week, each time with a rinse cycle. That amounts to at least 100 gallons of water a week. 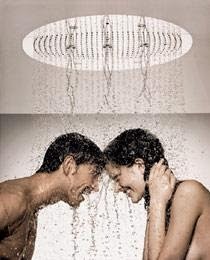 By reusing that water for irrigation I should save more than 5000 gallons annually. I decided to buy a ready made filtration system to understand the workings of such a unit and to maybe improve on that design later on. Based on the reviews and cost I decided to go with a Aqua2use unit. Total cost of this project was about $800. Santa Clara Valey Water District offers a rebate for this type of an installation. Please check the conditions for your district rebate as in my case you need to have a pre-inspection by the water district, a plan and a final inspection before the $100 rebate is issued. Important note: You have to use special laundry detergents with this setup. Ecos is the one currently recommended by the experts. I connected this system to 3 sub irrigation planters that I've build. See that post here. It's been a chilly night. You wake up in the morning go into the bathroom turn on the faucet, so that the water gets hot while you do your other "business", then come back to the faucet 5 minutes later and wash your face and brush your teeth. How many people do this every day? Well while you are waiting for hot water to emerge as much as 20 gallons of water (4 gallons per minute) has flowed down the drain. This is especially true if you have kids. A great solution to this waste is a hot water recirculation pump. The hot water recirculation pump takes water from your hot water line and pumps it back into the cold line until a desired temperature is reached, then the pump shuts off and when you open your faucet hot water comes out instantly. Installing such a pump can save as much as 17000 gallons of water per year. Here is a diagram. I installed a recirculation pump made by Laing at my house over a year ago and have had not problems with it so far. Out with the old, in with the new. Over the weekend I replaced my 2 gallon per flush toilets with 1.1 Gallons per flush ones. They work awesome (a bit loud though), and I get a rebate from my local water authority. This instruction set is very good. It sound counter intuitive that a professional car wash will use less water to wash your car then if you do it yourself, but it is actually true. Businesses have an incentive to save every penny to be profitable. 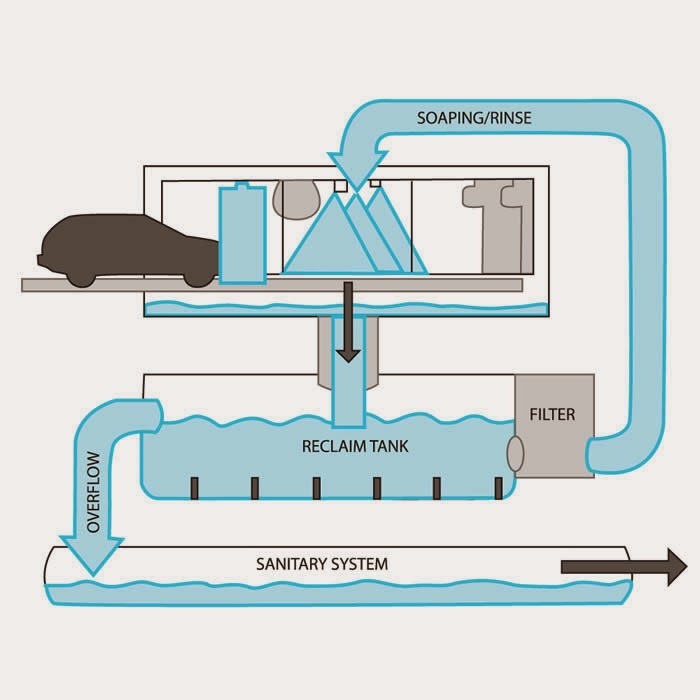 They have a set amount of water that is used per car and they usually filter and recycle the water in closed loop system (ask your local car was if they have such a system, and if they don't go to one that does). If you wash your car yourself in the driveway you will use as much as 60 gallons of water every 10 minutes your hose is used. At a car wash amount of water used per car is lower than 40 gallons. Arizona Department of Water Resources has a guideline for car washes that outlines the amounts of water that different types of car washes use.